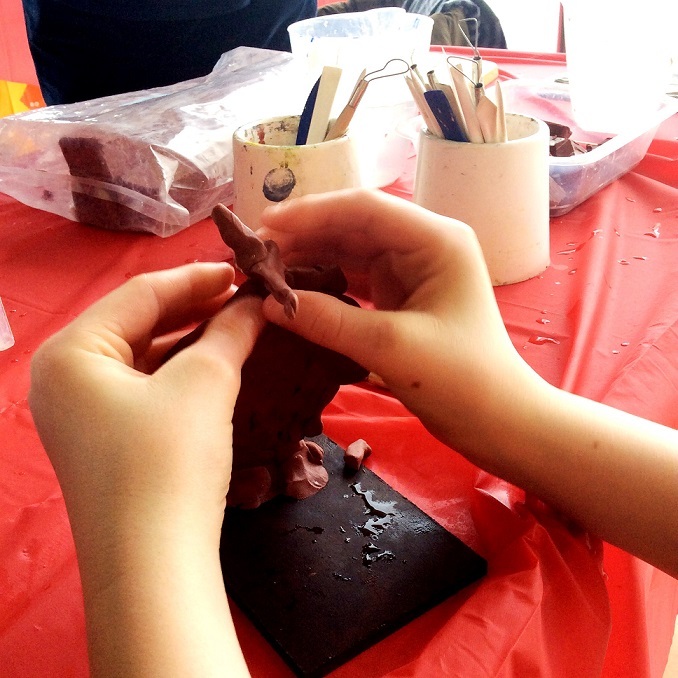 As part of our forthcoming sculpture project, Art UK will be looking at ways to use sculpture as part of fun, informative learning activities for young people. 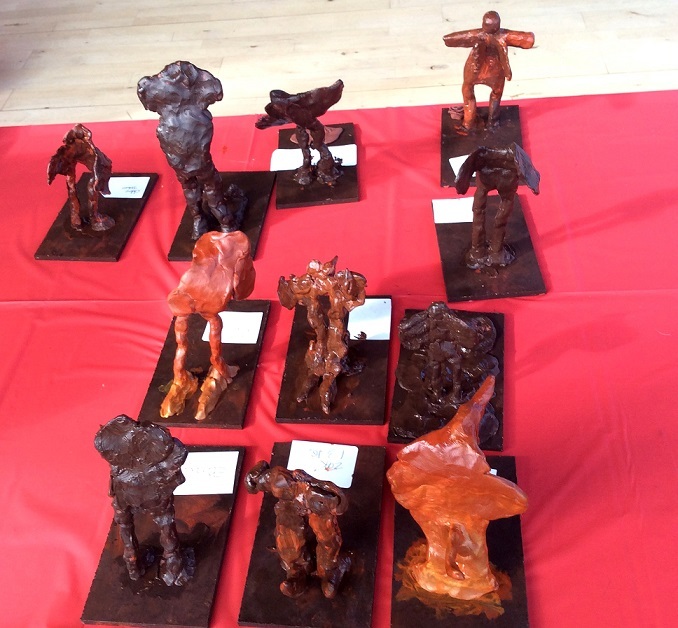 It’s always great to hear from organisations that are already working with sculpture as part of their education programme, as their work can help inspire out future plans. One of Art UK’s Founder Partners, the Royal Air Force Museum at Cosford, Shropshire, is embarking on an arts-led project, with some help from a group of local school children, inspired by the work of British sculptor Dame Elisabeth Frink. For the duration of the project, two Elisabeth Frink sculptures from the museum’s collection will be displayed together at Cosford for the very first time and will inspire youngsters to create their own masterpiece. 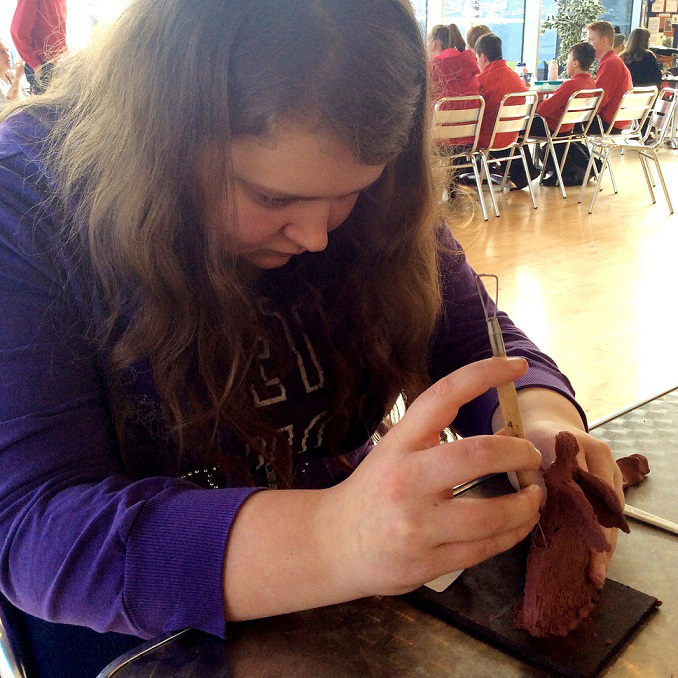 ‘The RAF Museum’s sculpture project aims to engage younger visitors with more unusual artefacts from their collection. The larger bronze sculpture is normally held in storage at the RAF Museum’s London site, but has been brought to Cosford especially for this project. 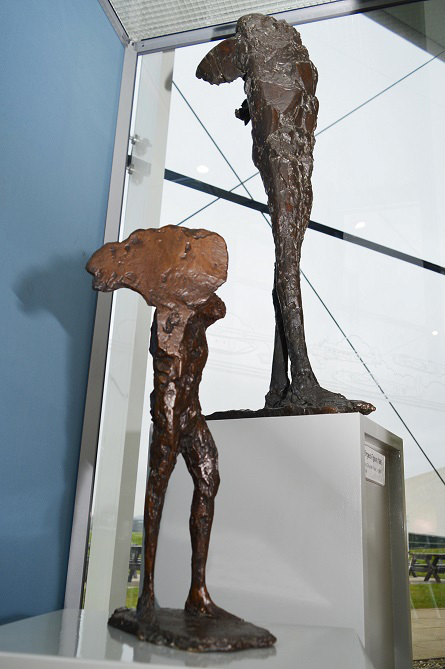 The two examples of winged figures sculpted during the 1960s, both resemble a man’s legs morphing into a bird, representative of her work during that period. Some of her most famous work includes the ‘Walking Madonna’ at Salisbury Cathedral, ‘Risen Christ’ at Liverpool Cathedral and ‘The War Horse’ at Chatsworth. The project has been made possible thanks to the support of the Wrekin Decorative and Fine Arts Society (Wrekin DFAS), a charity dedicated to promoting interest and understanding in the arts for all ages. Later this year Wrekin DFAS will sponsor a lecture on Frink by an expert on the subject, which will be open to participating students and interested members of the public. Keep an eye on the museum’s website for details.